The recent announcement that Disney is making a fifth Indiana Jones film has been met with a mixed reaction. It can’t be denied that revisiting the famous franchise is an exciting prospect, especially with the film directed by Spielberg and starring Harrison Ford. Ford may be an aging star – he’ll be 77 when the film is released in 2019 – but he was wonderful in his reprisal of Han Solo in The Force Awakens and I have every confidence that he’ll do the same thing for Indiana Jones. I’ll even momentarily put aside my cynicism that this is just another Hollywood cash-grab that panders to our endless desire for nostalgia. My concern for the film is based on something entirely different: the overwhelming sense of déjà vu. 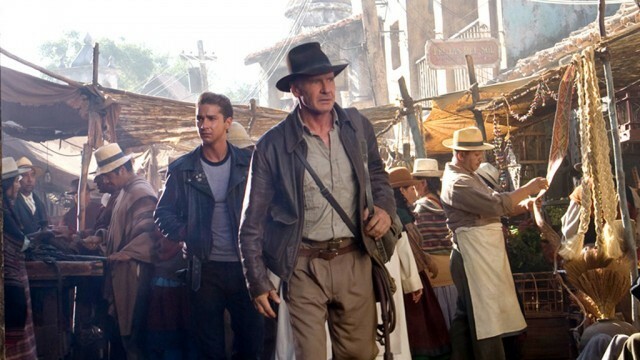 Because this isn’t the first time that Indiana Jones has been revisited. And the disappointment of 2008’s Indiana Jones and the Kingdom of the Crystal Skull is still fresh in our minds. It seems like the announcement of another Indy film is a timely opportunity to look back on The Crystal Skull and discuss why it failed to deliver. There’s already an article over on io9.com that raises this very question, but I’d like to look at the film from a different approach. There are numerous reasons The Crystal Skull is eschewed by fans. There was the scene where Indy survives a nuclear blast by hiding in a fridge. There was the fact that Shia LeBeouf’s character was named Mutt. And then there was that scene where he swings through the forest like a monkey, which still makes me cringe every time I think about it. The film doesn’t have the energy of its predecessors; it feels like a lazy reformulation of old ideas. But in my opinion, the real reason that the film failed to deliver – the reason it didn’t feel like an Indy film – was because it was a different genre from its predecessors. 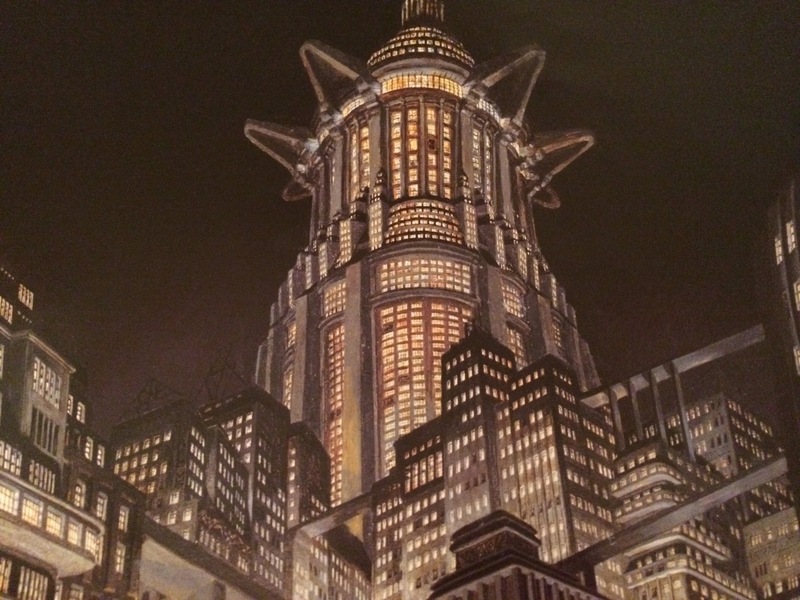 The first three films in the series are essentially fantasy films. Indiana Jones is an archaeologist who investigates (and rescues) artifacts from ancient mythology. The first and third films in the series focus on Judeo-Christian artifacts – the Ark of the Covenant and the Holy Grail – while The Temple of Doom involves a rather shallow look at Hindu mythology. All three films reinforce the importance of mythology and religious tradition. The significance of these artifacts is conveyed entirely through a religious framework. There is no attempt to explain the artifacts through a modern scientific framework; they are best understood as powerful objects from myth. In these films, Indy takes the role of guardian, protecting these artifacts from abuse and misappropriation. He is therefore not just protecting their status as historical objects, but defending their culture and tradition as a whole. Indy upholds and defends our oldest beliefs. The Crystal Skull does not follow the same formula. It is a distinctly science-fictional story, with the crystal skulls revealed to have an extraterrestrial origin. The idea that aliens somehow intervened in ancient Mesoamerican history is a very recent invention; it belongs more to our age of science than established religious tradition. It should also be mentioned that crystal skulls, which are often depicted as pre-Columbian Mesoamerican artifacts containing mystical powers, are actually products of the nineteenth and twentieth centuries. They are basically elaborate hoaxes. No crystal skull has been authenticated as pre-Columbian in origin. The film is therefore not based in an established religious tradition, but one that is more akin to recent pseudoscience. The ending of the film, with the alien ship rising out of the Earth and disappearing into the space between spaces, firmly locates The Crystal Skull as a work of science fiction. Any mythological significance of the skulls is instantly undermined by explaining them through a scientific framework. (Never mind the fact that crystal skulls do not form the basis of any existing mythological tradition.) 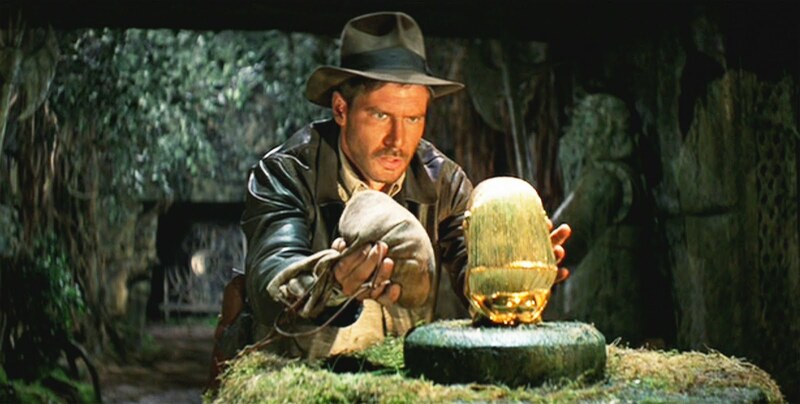 Indy’s role as a guardian of ancient beliefs is similarly undermined; after defending the Ark of the Covenant and the Holy Grail, he is left defending something that is more a product of New Age scientific fraud than a real religious icon. It feels hollow. I can understand why Spielberg chose the change of tone for the fourth film. Set in 1957, against the backdrop of the Cold War, it is more reflective of the Golden Age science fiction stories that were popular at the time, with their tropes of space travel and Paleolithic contact with alien civilisations. Sadly, the change of genre crippled its spirit of fun. Indiana Jones works best as a fantasy adventure, with Indy defending the world’s most sacred religious traditions against corruption. It loses significance when the traditions are explored through the lens of science. I’d love to see the franchise return to moments like this. We’ll have to wait until 2019 to see if the fifth Indiana Jones film rises to the challenge established by the original trilogy or falls prey to the same mistakes as The Crystal Skull. Spielberg has a unique opportunity to learn from the mistakes of the last film; let’s hope that he returns to the sort of mythology that made the first three films so exciting.